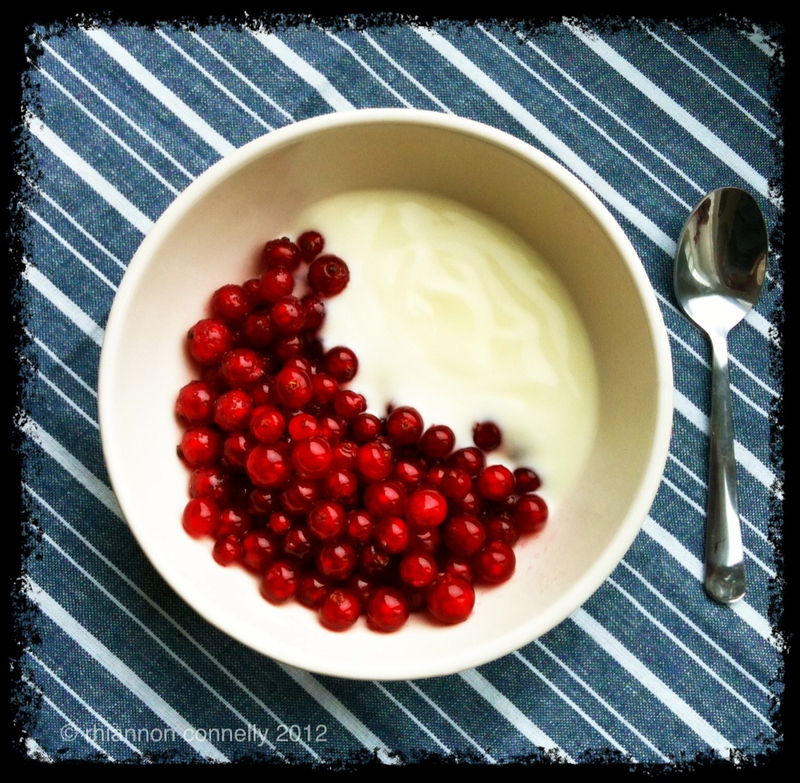 A year or so ago I took a notion to prepare some redcurrants the way I remembered my Oma doing. I was in Scotland at the time and hunted high and low for the elusive berries. I think I did find some in the end, but they are hard to track down. Fast forward to this summer and access to Dutch markets and greengrocers – redcurrants everywhere ! I love the simplicity of them and also the jewel red colour. Just rinse, use a fork to take the berries off the stalk , sprinkle with a little sugar ( they are tart without any sugar ) and leave to sit for a while. Eat with a little yoghurt or “vla” as the Dutch call their ready made cold custard. By request , I am preparing a short course to share my tips and tricks . If you’d like a wee tip off when it is ready to launch you can sign up here and I will keep you informed. I am also participating with the Etsy “Christmas in July” event – it only runs for a week or so. You’ll find some midsummer bargains in this section of my shop. And a search on Etsy using the same tag will throw up lots of other participants. I’m going to be moving my “Five on a Friday” posts over to a different theme each week, but for today I’m staying with my varied mix. One of my favourite books for dipping in and out of is “A Year of Mornings”. This book grew out of the very popular photo blog “3191” so called because this was the distance between the two participants. There is something very calm and serene about the images , and it is amazing how often they are somehow matching even though they were shot without any prior consultation. A long distance photo collaboration is definitely something I’d like to have a go at sometime. If I get just too serene then Paprika Balkanicus is a good wake up call. They are a true Eastern European medley with a Romanian , a Slovenian and three Serbs. Doesn’t look as though they are playing in Edinburgh this summer so I’ll need to content myself with the CD. They are heading to Australia in September and October so keep a look out for them if you are in that part of the world. Right up in my top ten of foodie blogs is Tartelette – actually she neatly combines in one go fabulous recipes and the most beautiful food photography. It is best to visit on a day when you were planning to bake or make a dessert otherwise it might just be a little too much like torture ! Another Etsy favourite of mine is Geninne’s Art Store . She’s from Mexico city and sells reproductions of her water colour paintings – with a strong emphasis on birds . Actually they are watercolour mixed in with collage elements which is probably why they appeal to me so much . And finally a perfect little gadget to while away a rainy afternoon. ( We are having more rainy afternoons than I care for. I mean, I don’t mind rain (and from a photographic point of view rain can be great too) – but it is August tomorrow and I’d like a little more summer please and a chance to sip wine in the gardens on a summer evening with my Italian neighbours .) Anyway, the gadget – Tiltshiftmaker – will let you create fake Tilt shift photos from your own images – they look pretty convincing too. Your photos will look like they were shot in a model village. With a bit more time over the New Year I dug out my favourite cook books and did a spot of baking. Top of the list for inspiration is Chocolate and Zucchini . This book is a little stroll round Paris and culinary ideas all rolled into one. My first attempt at Gateau Chocolat Framboise – but with Clotilde’s clear instructions it worked perfectly. Her blog with the same name Chocolate and Zucchini is also a great read. Other cookery books that have just arrived on my bookshelf include Venezia by Tessa Kiros , an absolute visual delight – intended to get me in the mood for the next city on my list – Venice – at the end of January. Also Culinaria Hungary – pretty well everything you could need to know about Hungarian cookery , presented with a lot of extra cultural information. I was interested in this book after hearing a broadcast on Radio 4 called ” The Goulash Archipelago” about two jazz musicians who decided to busk their way from Budapest to deepest Transylvania, eating only what they were given in exchange for their performances. They also joined in the cooking on their travels, listed some recipes on the Radio 4 site and recommended this book as a good resource.